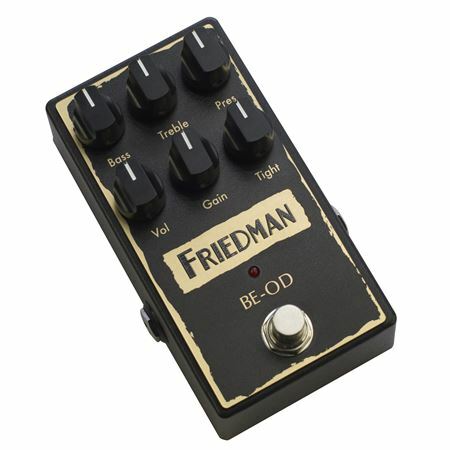 Order your Friedman BE-OD Overdrive Pedal from AMS and enjoy 0% Interest Payment Plans, Free Shipping, Free Extended Warranty & 45 Day Money Back Guarantee. Built in the USA, the must have BE-OD overdrive pedal is desired by enthusiasts worldwide. 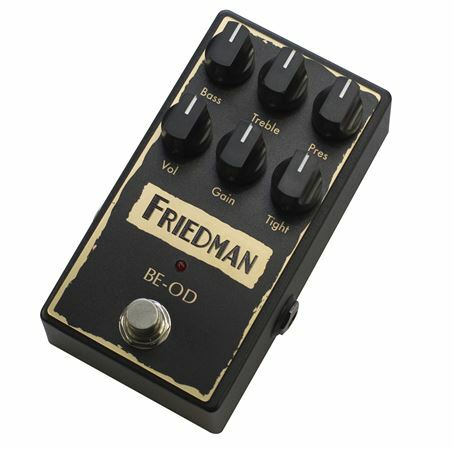 The BE-OD overdrive pedal captures the tone of the now legendary Friedman BE-100 amplifier which has graced the stages of world class musicians the world over. The BE-OD delivers authentic tube amplifier sound from a compact pedal with the controls needed to shape your tone including volume, gain, tight, bass, treble and presence. These responsive knobs will take you from light, slightly broken up overdrives to straight up gain nirvana. Designed to withstands decades of abuse. It's like they took Eddie Van Halen's amp from the 70s and stuffed it into this little magic box. Is all the bite and attack of what a hotrod and Marshall should, but roll off your guitar volume and it cleans up nicely for smooth bluesy type tones. This is one sweet pedal for the money!!! Great pedal. Plenty of gain for whatever you want. Dial it back for more OD drive style and crank it for your pleasmental pleasure. "Tight" knob let's you manage the compression. Bass, treble and prescence knobs give you all the tonal versitality you need. I pair it with the defcon 4 and it completely rips. Great od/distortion pedal for the price. I live in an apartment so massive tube amps are too loud for me unfortunately, but I run this directly into a Seymour Duncan powerstage and a 212 and it’s as close to the real thing as you can get. They were not kidding when they said “amp in a box” with this thing. Sounds killer thru the clean channel of a tube amp too. When you’re in the mood to jam out some searing rock tones, this pedal should be the go-to! It can do crunchy, it can do compressed; it can warp you to the 80s with Rhodes tones and then take you to the sanatorium with Hammett style crunch. 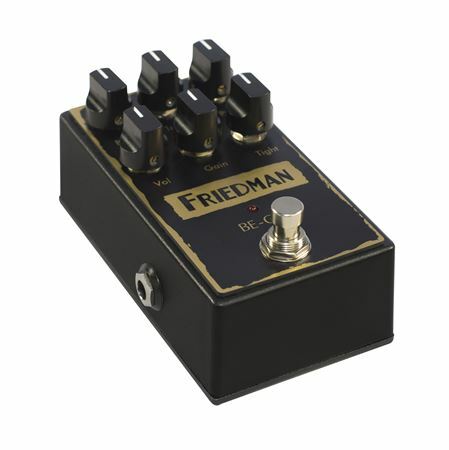 I find this pedal is great on its own or even better with an EQ pedal in chain. Does not play well with other distortion pedals, this one is too mean! BE100 in a pedal...no kidding! An amp in a box, no other way to describe this pedal. I have played on a BE100, and this pedal is as close to the real thing as it gets. Excellent pick response, effective tone controls, and SO MUCH GAIN on tap. When gain set at zero, you get a nice crunchy tone, enough for rhythms, etc. At around 8 o'clock on tje gain dial, the pedal takes on new life. I normally run it nowhere past 10 o'clock, and am happy with the amount of gain and response this pedal gives. And running it on an 18 volt supply is the only way to do it. The headroom changes at 18v, and is alot more crisp and tight. 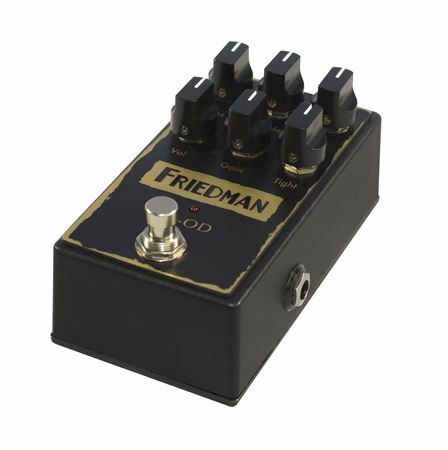 I would recommend this pedal over many others i have owned, such as the OCD or the Bogner Red, which are great pedals in their own right, but do not come close to the BE OD. Literally The HBE in a box!!! It's The Best OD Ever!!! This is the best distortion pedal I have ever played through. It is very versatile, especially with the internal trim pot. It can go from a slight overdrive to full on metal, you will never say that it doesn’t have enough gain, i keep finding myself backing the gain down. I will point out that ive played this through multiple tube amps, and the outcome has been great on all, but i tried through a solid state randall rg1003, and could not get a usible tone, so that may be something to think about. Automatically sounds good. Friedman is clearly a genius. It's built like a tank, the knobs are solid so they don't shift while playing, and the sound is incredible! On my tiny VHT combo, or my triple rectifier.. this thing is amazing! Out of all of the metal oriented OD/Distortion pedals I have played/owned in the past 28 years, this is the first one I've actually put on my pedalboard for gigs. I use it with a Mesa Royal Atlantic head, into the clean channel and get excellent results. So far it seems to play well with my other pedals, (CAE Crybaby wah, OCD, Xotic EP Booster and BB Plus). 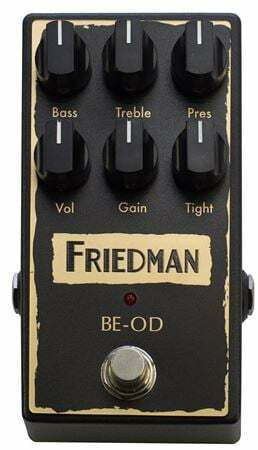 The BE-OD definitely sounds and feels more like an extra channel for the amp rather than a distortion pedal. It is also not buzzy like so many other pedals geared toward heavier music. I am glad to have it for the thrash/death metal I still play on occasion, without having to pull out my Dual Rec. Gave me the tones I was looking for 50 years. Finally... this jewel does what it claims and a whole lot more.